What: Research zine. 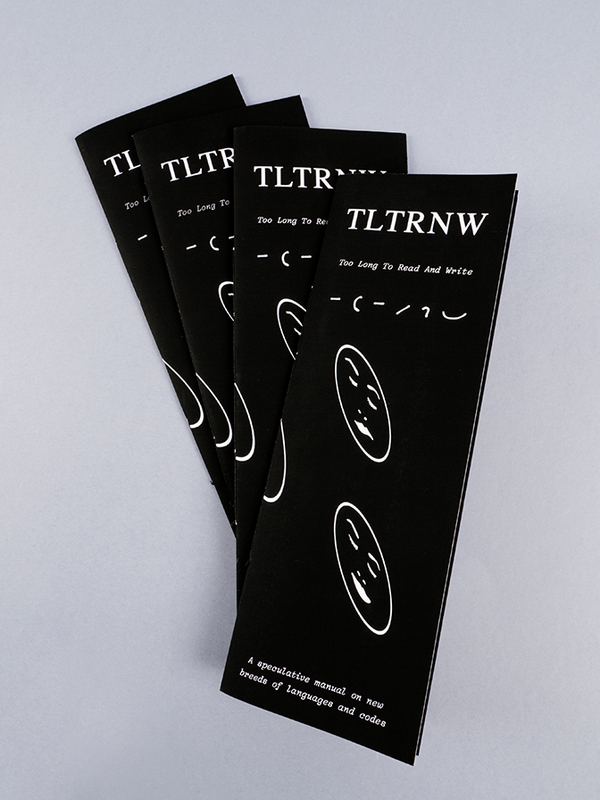 TLTRNW, A Speculative Manual On New Breeds Of Langauges and Codes. Limited edition printed for TENT Rotterdam Book Shop, during the exhibition Spending Quality Time With My Quantified Self curated by Niekolaas Johannes Lekkerkerk and Jesse van Oosten.